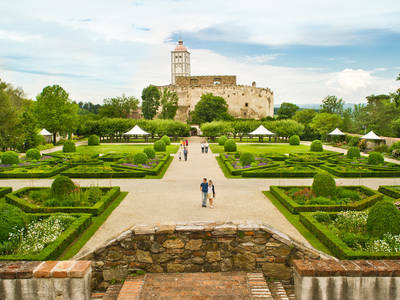 Take a stroll where emperors once dwelled, in magnificent castles and historical gardens. Or explore the former haunts of noble and less noble knights of old. 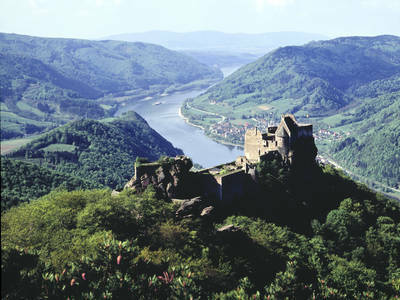 Travel the Danube between Ybbs and Hainburg and discover a whole series of castles and fortresses and ruins. The legendary Aggstein castle ruins are on a ledge of rock 300 m above the Danube, which drops away precipitously on three sides. The 800-year-old castle with its unique wooden coffered ceiling towers high above the surrounding countryside on its mighty cliff. 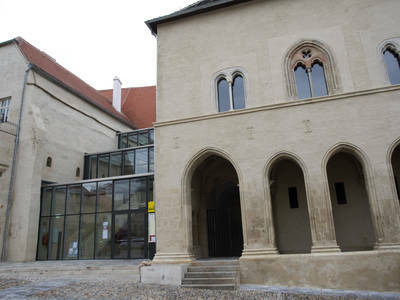 The Gozzoburg in Krems is one of the most significant medieval buildings in an Austrian town. Schallaburg looks out from its high perch into the surrounding countryside. Fairy-tale castle flanked with seven characteristic onion towers.